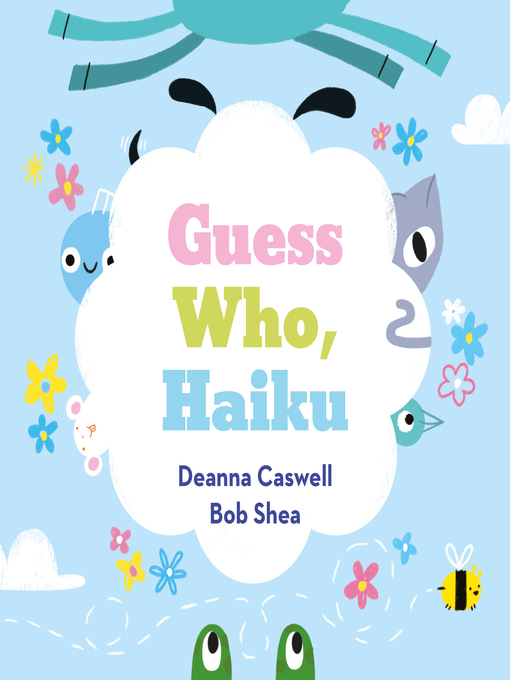 Guess Who, Haiku is a unique poetic guessing game illustrated by bestselling and beloved artist Bob Shea. Author Deanna Caswell's playful take on the inventive Japaense form of poetry offers clues about the creatures hiding on every page in this creative and clever picture book of charmingly illustrated poems for the very young.As readers meet a cow, a bee, a horse, a bird, a frog, a fish, a mouse, a cat, and a dog, they will be delighted to learn that they are the subject of the final poem. Parents will appreciate the simple guide to understanding the haiku.Perfect for story time and for poetry month April, Guess Who Haiku is a must-have collection of poetry for the youngest readers.